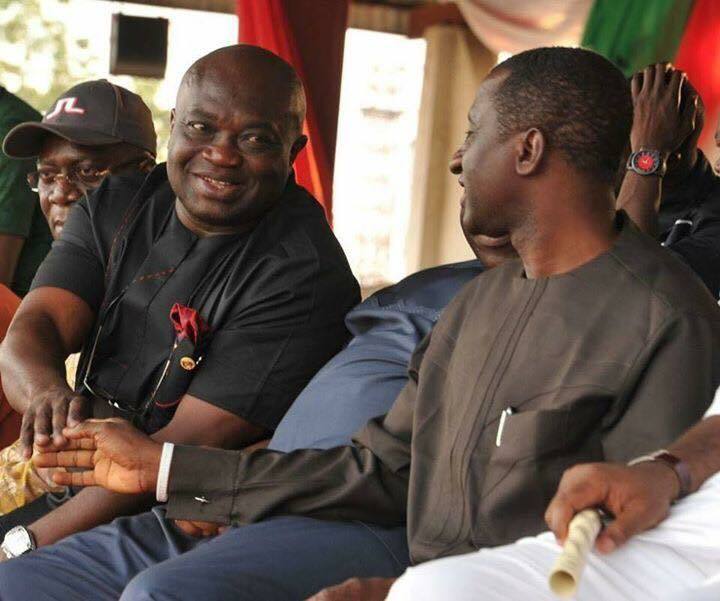 Businessman and former Abia State governorship aspirant on the platform of the Peoples Democratic Party (PDP), Dr Uche Ogah, has congratulated the Governor of Abia State, Dr Okezie Ikpeazu, on his victory at the Supreme Court. Ogah, who dragged the Governor to court over allegation of falsification of tax papers, lost after the apex court dismissed his appeal with costs and insisted that the tax matter shouldn’t have been an issue since the Governor’s tax was deducted at source for the period under contention. In his congratulatory message to the Governor, Ogah prayed God to guide the Governor in the enormous task of building a new Abia state where peace and tranquillity reigns. His words: “the Supreme Court unequivocally reaffirmed your nomination and election as the authentic governor of our beloved state, Abia. “I have always been a law abiding citizen and will continue to be. My challenge of your nomination was borne out of a genuine desire for clarity and to see that things are put in its right perspective and today our apex court the final arbiter have spoken. “As the legal battle comes to an end with the Supreme Court declaration, I’m exceedingly happy today that in the course of this struggle, I never resorted to self help nor encouraged my supporters to indulge in any form of violence. “My interest in politics is not for fame or personal aggrandisement but to impart positively on the lives of the common man and to make our dear state, Abia the envy of other states. “My dear brother, it is worthy of note that my desire to see our home state in the right footing, developmentally and economically is not in doubt and a course I can put everything within my reach to see to fruition. It will be recalled that Governor Ikpeazu, in his post-victory message, called on Abians to join hands with him to ensure the accelerated growth and development of the state. The messages signed by his Chief Press Secretary, Enyinnaya Appolos reads: “Governor Ikpeazu wishes to call on all Abians to join hands with him to ensure accelerated growth and development of the state.